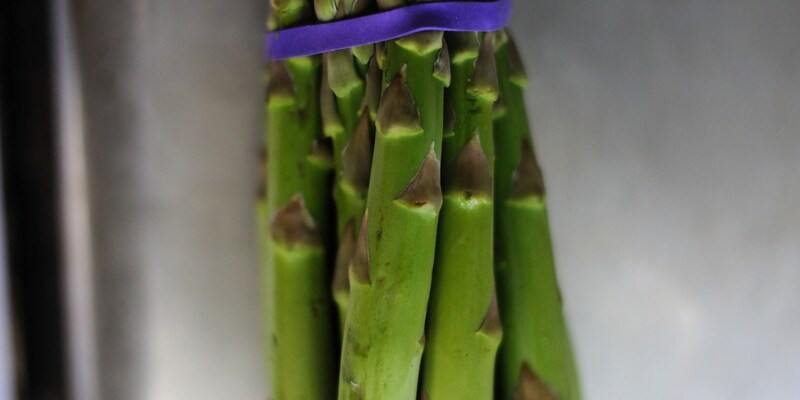 Asparagus can be purchased as whole stems or spears (the tender, top part of the stem). Before cooking these pre-trimmed asparagus tops, all you need to do is give them a simple wash and they are ready. Whole asparagus needs slightly more preparation - due to their tough ‘woody’ ends. Wash the asparagus and trim or snap the woody ends off the base of. The point to trim or snap can be found by carefully bending the spears - there is a natural point on the stem where it will easily break. Once you have mastered this technique try it out with Galston Blackiston's Sea trout with carrots, asparagus and butter sauce or Colin McGurran's Chicken with wild garlic and asparagus.